This post discusses accessing the Universal Devices ISY-99 controller with Web Services using Java. The Universal Devices ISY series of Insteon controllers are beautiful pieces of hardware and software. I have discussed them before. They expose many commands, controls & queries via Web Services. They also have a module to interface with a connected ELK security system through Web Services. So the only way to communicate with it (using Java) is through its UDI-Elk Web Services. 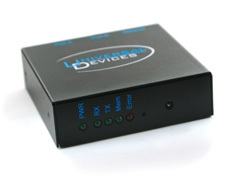 Universal Devices (UDI) has more information on its developer page. JAX-WS has an import tool (wsimport) that reads a W3C compliant wsdl file and turns its “services” into Java objects so all you have to do is call the appropriate Java classes. To build a client, you don’t need the full J2EE SDK - just JAX-WS to do the WSDL import processing and API. The 1st thing to note is that JAX-WS wsimport tool is very strict and will not process the default UDI wsdl file without a few tweaks. This is because the udi (http://isy99/services.wsdl) or the actual wsdl file udiws30.wsdl is not 100% compliant with the W3C specification for WS-I basic profile definition R2204 -A document-literal binding in a DESCRIPTION MUST refer, in each of its soapbind:body element(s), only to wsdl:part element(s) that have been defined using the element attribute. see http://www.ws-i.org/Profiles/BasicProfile-1.1.html#Bindings_and_Parts. This process should work on any version of the wsdl http://isy99/services.wsdl . Note the version of the wsdl that you get from your ISY is a small version that imports the main wsdl and defines the service and port. For ease, I suggest downloading the UDI WSDK and work on the local files contained in it. Make sure you update the Endpoint URL, at the end of the file, to point at your ISY device. Right click on the NetBeans project and click ‘New Web Service Client’ and point it to the udielkws1.wsdl file. Here (again) is my full, very simple, UDI/ISY Web Services Client.